Before I talk about two brothers from Belgium and review their impressive new murder mystery — The Unknown Girl — I’m going to step up on my soapbox and talk about heroes and villains. Harry Potter and Luke Skywalker have always been, for me, the least-interesting characters in their own franchises. Temperamental Hermione is more fun to watch than the boy whose most interesting characteristic is a lightning-bolt scar. And Luke, well… he’s never as much fun as Han Solo, who gets to be bad. Even Darth Vader is a more compelling character, for how he behaves with such theatrical brutality and such destructive power. And who doesn’t suffer through these Alien sequels and prequels just counting the minutes until those drooling, snarling Xenormorphs start wreaking havoc? 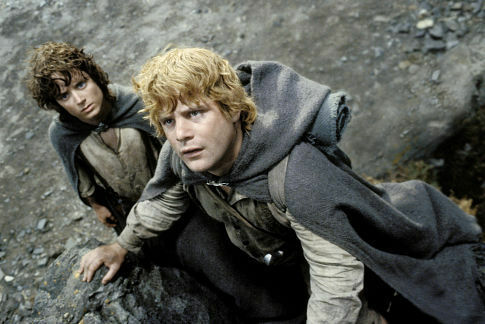 Isn’t it interesting how rarely Frodo gets celebrated as readers’ favorite Lord of the Rings character? Even Sam gets more love. Villains and antiheroes — they’re easy to write, easy to imitate, easy to illustrate. They’re wild. Unpredictable. Flamboyantly ignorant. Expressively hateful. We can’t take our eyes off them as they break rules, cross lines, and destroy things that were built with love and hard work. They dominate our attention when they’re onscreen. Unlike heroes, right? Truly heroic characters respect the rules. They show patience, kindness, humility, and generosity. They contribute small but costly efforts to the building of something greater than themselves. They suffer and soldier on. Truly heroic figures are boring — unless we grant them the freedom to use deadly force. More often than not, we recognize a hero on a movie poster by the weapon in his hand — that’s the compromise we’ve made so that heroes can be exciting to watch. On rare occasions, though, we catch a glimpse of a better way to tell stories of heroes. On rare occasions, artists put their imaginations to work to reveal this truth: The greater show of strength is the display of restraint, the choice not strike back, the choice to slowly build instead of swiftly destroy. Once in a while, a filmmaker shows us how to do to this. And I’ve just seen a vivid demonstration that, yes, it can be done. It couldn’t come at a more important time. For those who have asked when I’m going to get around to reviewing Marvel’s Logan or Guardians of the Galaxy Vol. 2, I submit this tired reply: I don’t think I will. I’m tired of the whole addicting spectacle, the poisonous lie that good violence deserves cheers when bad violence strikes. Perhaps it has something to do with getting older, with seeing how real-world villains bring about so much heartache, how they tear down such beautiful and meaningful things. Watching the news right now, it feels like I’m watching “The Villain Show.” The greedy, the arrogant, the cruel, the bigots, the racists, the violent — they seem to have seized control of the land of “liberty and justice for all.” Call me when you see a leader who wears the armor of integrity and conscience, who comes armed with nothing but truth and love. 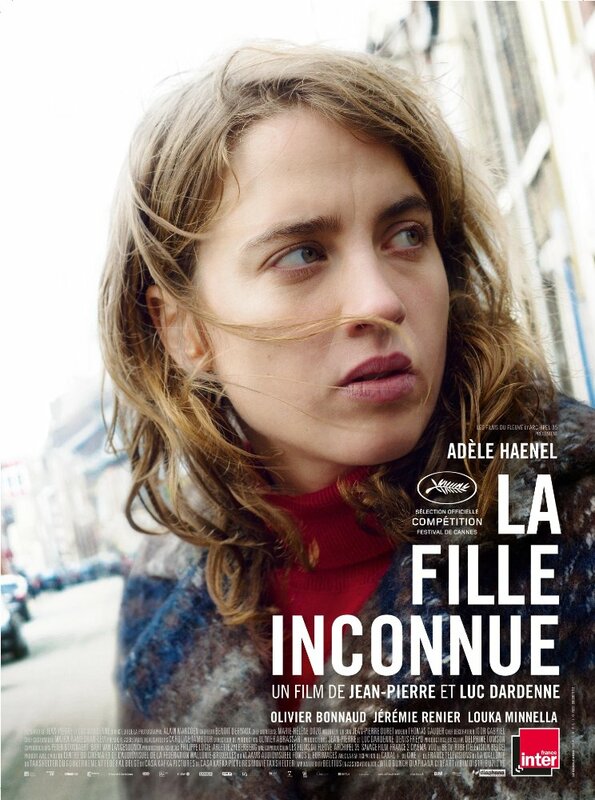 And with that, I recommend to you, with wholehearted enthusiasm, a compelling hero of conscience and care: Doctor Jenny Davin, played by Adèle Haenel, in the Dardenne brothers’ latest film — The Unknown Girl. Doctor Jenny Davin is one of those rare characters who proves that a protagonist can be conscientious, humble, empathetic, quiet… and compelling. And by describing her in public, I feel like I’m probably doing my part to bury this movie. Seriously, am I making you want to see the movie by saying these things? Jenny is the sort of doctor who makes house calls to the poor and the disabled around troubled neighborhoods in Liege, Belgium. Yes, the Jean-Pierre and Luc Dardenne are inviting us back to the scene where they have imagined so many masterful stories. (For my money, they’re the most consistently impressive filmmakers working in the world today). Jenny is principled, hard-working, and she holds those around her to high standards. And therein lies a subtle character flaw, the one that will set the story into fast and anxious motion. Right away we can see that what she preaches to her intern — “Don’t let emotions get in the way” — is not necessarily the best law to live by. Part of what’s so interesting about the point upon which this story turns is that it’s so incidental: In the interest of demonstrating how to work in a principled fashion, she fails to perceive a need within her coworker; and, more importantly, she keeps the door closed against a stranger in urgent need. There’s something breathtaking about this moment, both in terms of what it recognises about human interconnectedness — that an impulsive moment of mean-spiritedness can have monumental consequences — and what it reveals about the Dardennes’ storytelling. Jenny’s state of mind at the beginning of the film — stressed, hectoring, slightly sadistic towards her mild-mannered charge — is unexplained in terms of its specific spurs, but wholly familiar nonetheless: we’ve all been there. The devil, for Doctor Davin, is in the details of her professionalism. But she’s not designed to defend herself, even here, where she could easily make a reasonable case for her behavior. When she finds out that one simple act of reasonable workplace management has cost a woman her life, she cannot rest. She will do whatever she can to make amends, even if it means putting her life in danger. And so she — like the panic-stricken factory worker played by Marion Cotillard in Two Days, One Night (the Dardennes’ last film) — dashes from place to place, person to person, trying to learn all that she can about the woman who died. Why? Does she think she can bring her back? Can she right the wrong that was — let’s face it — not particularly wrong? Can she do anything to settle her raging conscience about the tragedy of this “unknown girl”? Along the way, Doctor Davin becomes one of the most admirable champions of conscience and hands-on healing I’ve seen in all of cinema. In what seems to me to be the Dardennes’ most Bressonian film — call it Diary of an Urban Priest — there is power in the humble hands of this soft-spoken priestess of medical science. 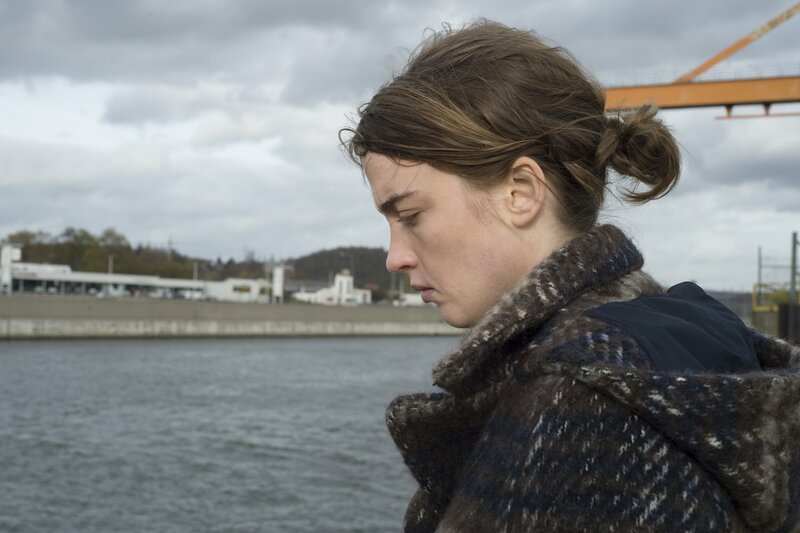 Embracing a style even more spare than usual, the Dardennes seem to pull back from their tendency toward cleverly poetic composition and symbology. Here, the gist is in the gestures. Whether Jenny is listening to someone’s troubled lungs, holding someone as they bow their heavy head, or receiving their confession, she commands our attention. As Jenny, Adèle Haenel captures and holds our attention in her ponderous silences, speaking volumes with her expressive eyes and her tendency to strike the pose of a Marian icon, Around her, the Dardennes have organized something of an all-star reunion party: Olivier Gourmet is frightening (and almost unrecognizably grizzled); Jérémie Renier is another walking disaster of conflicting impulses; and Thomas Doret and Morgan Marinne show up as well — and look, they’re all grown up! But my take differs from Cole’s: I didn’t find it boringly “deterministic.” As Jenny’s troubles rise from a ripple to a raging boil, I eventually experience that familiar Dardenne-movie state of emotional exhaustion and exhilaration by the conclusion, a gentle epilogue that strikes me as one of the most tender and beautiful moments in recent cinema. I half-expect to find that, on a second viewing, the first hour won’t seem long at all, but that it will reveal, as the Dardennes’ films usually do, all kinds of subtle greatness at work. What’s more — I’m so stunned to see such a rare celebration of humility, courage, and true heroism on the big screen that I’m not going to miss this opportunity to sing its praises. Magnificent and timely, The Unknown Girl is challenging me take my eyes off of the soul-bruising abuse happening in the headlines hour by hour; it’s reminding me to return to the unglamorous but heroic work of patient, diligent, disciplined love for those who need it most.